EMI Scan may be the most common NF scan technology. 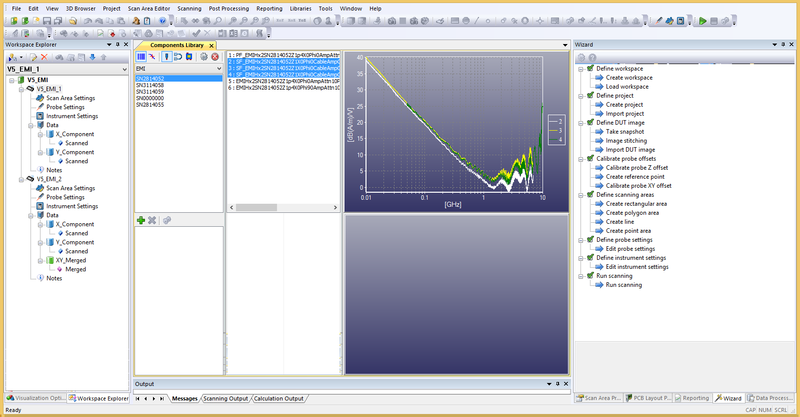 It picks up fields at reactive near field (NF) region and displays emission amplitude or frequencies in X and Y co-ordinate. Selection of proper probes is the most important step for right NF measurement. For a list of probes API offers, visit probe section under products. API has been providing SEE scan services and scanner packages to the IC suppliers of a world leading hand-held devices and electronics manufacturers. In order to minimize variations from probes, RF amplifiers, cables and other accessories, field values at the tip of a probe are compared among various shielding configurations, rather than power, which is the common output of a spectrum analyzer. 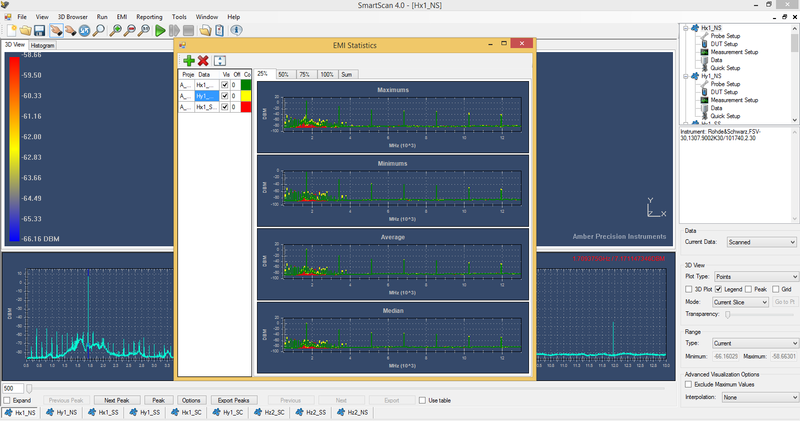 SEE scan standard, SEE scan service protocols, SEE report format, Software module to assist statistical data analysis, New SmartScan functions for efficient data analysis. ● Up to 18 GHz EMI probes See more details. API's 0.5mm or 1.0mm Hx/y probe provides small enough spatial resolution to measure small DUT's like IC's. 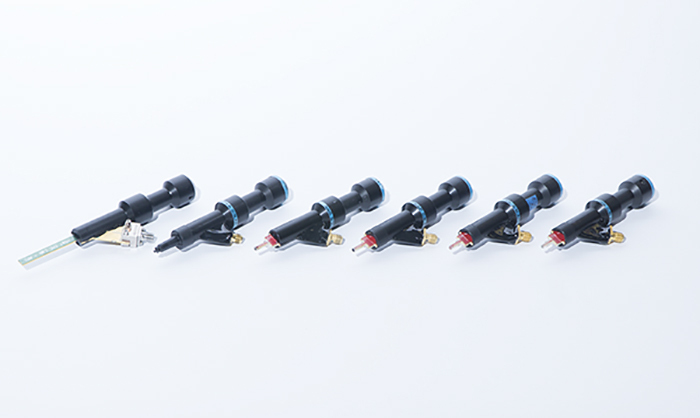 For even higher resolution, either 0.1mm or 0.25mm Hx/y probe can be used. API manufactures shielding tent with various dimensions that provides better than 30 dB shielding at 1 GHz, which is enough shielding for SEE test scans. A commercial mini-chamber can be integrated with SmartScan SEE package. It is sometimes more useful to have field values at the tip of probes than measured power or voltages for further analysis. Field calculation module converts measured power (dBm) or voltage (dBV) by a SA to H-fields (mA/m) or E-fields (mV/m) depending on the probes. API provides three different hardware sets depending on frequency ranges; up to 10 GHz, up to 18 GHz and up to 40 GHz. Each hardware set includes probes that cover the specific frequency ranges and field source structures (50 Ohm micro-strip or CPW's) for accurate system factor extraction. 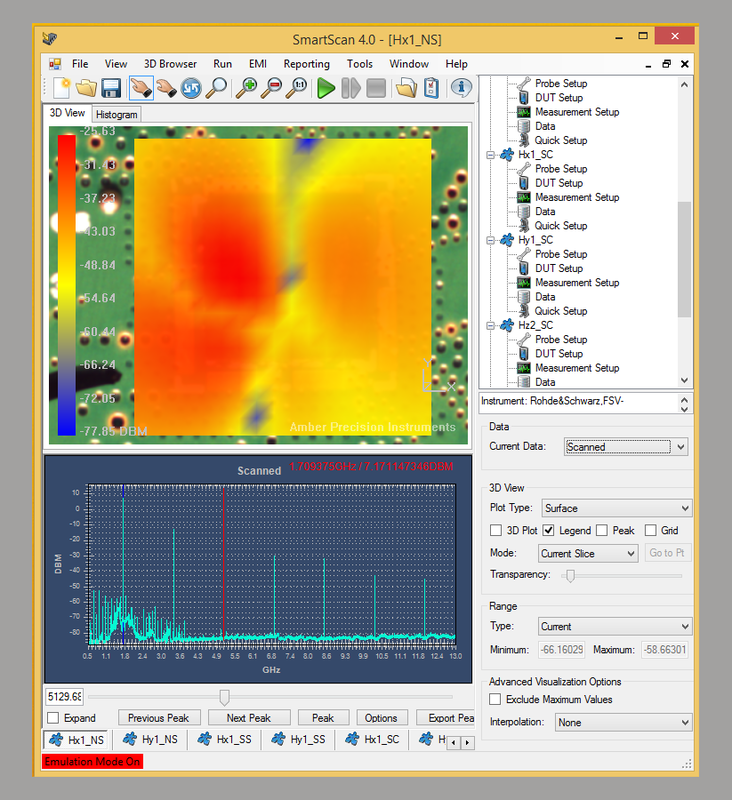 API supports most PXA, MXA, CXA and PSA families from KeySight (Agelent) and RSL & FSV families from Rohde & Schwarz. API writes the driver when a specific SA driver is not readily available in SmartScan. 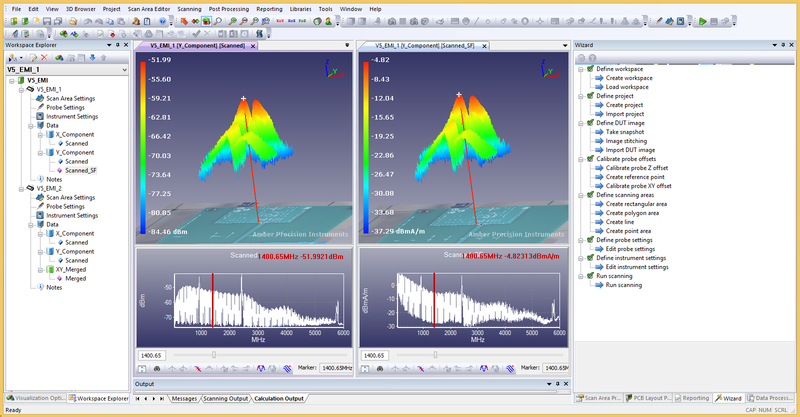 Probes and our software are the main differentiators of API from other EMI scanner manufacturers. API designs, assembles and characterizes each probe in-house. For a list of most commonly used API probes, please see the probe list file. API makes custom probes when necessary. Amplifiers have to be selected carefully to make sure that the weak signals can be captured reliably. API provides two ZX60-6013-E+ from Mini-Circuit as standard 6 GHz EMI scanners. Any RF amplifiers can be integrated to SmartScan, and additional charge may be applicable depending on amplifier models.